I have been on holiday for the past two weeks which has been a fantastic break. It seems I am always on holiday, and I agree, it does seem that way. This time I decided to take a break between changing jobs again and reconnect with my family and look after my wife while she gets over a particularly painful operation. So far she is doing fantastically and I am incredibly proud of her. 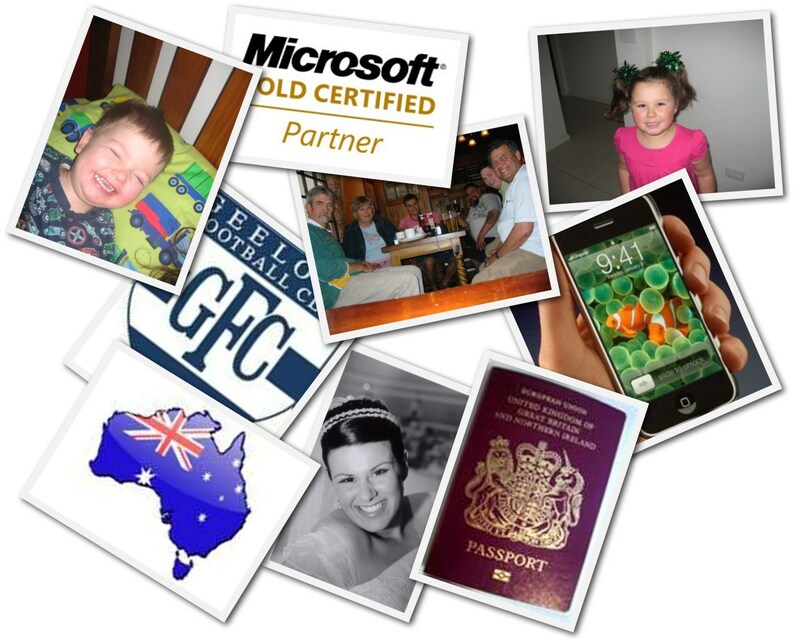 Next week I start a new job at a more dynamic Microsoft partner which I am incredibly excited about, there are some great people there and I want to learn and be energised by work again. Installed Windows 7 x64 Release Candidate. Wow. You would have already read all the posts about how good it is, they are true. It really is (more on this in a later post). So there you have it, I can’t promise I will be blogging any more regularly, but I will try to. Well 5 days into the year I have finally gotten off my arse to right a blog post. I was going to do one of those blog post reviews of the past year and setting goals for the next year, but Andy and the Wookie seem to have nailed that already. In fact, Andrew has also beaten me too. At the moment I am enjoying a nice three week break from work and spending some amazing time with my family. We went up to the Gold Coast last week and took the kids to enjoy the sun, beaches and Wiggles World. Thanks to a suggestion by a colleague we stayed in Broadbeach and it was awesome, the place had a great family buzz, was well located and had a fantastic pool (well four in fact). Whilst travelling with young kids can be difficult it is also very rewarding. 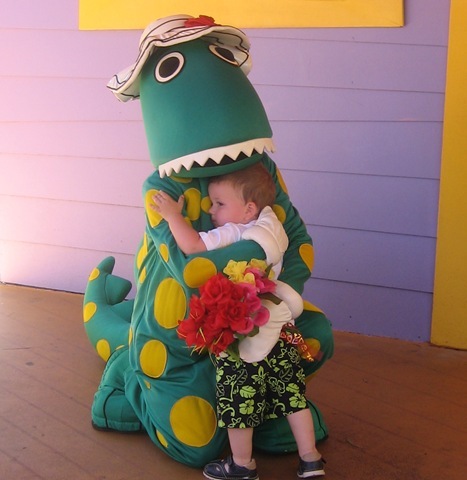 Seeing our youngest run up and hug the life size version of the dinosaur he uses as a teddy was fantastic. I have certainly come to appreciate how lucky I am to have such a fantastic wife and children. As I write I have one week left before I return to work and am starting to ease back into all things nerdy (like Twitter and Google Reader) and eagerly awaiting the Windows 7 beta to kick off in the next week or so. I am expecting 2009 to be a very big year personally and professionally and whilst I said I wasn’t going to set goals in a blog post, I have indeed set some, which will make 2009 very very exciting. As some of you may know I used to work for a company called SDM. Whilst there I learnt about a number of technologies and products I had never really come across before including SharePoint, Project Server and CRM. There were a number of things I loved about the company, the people; the projects; the ‘can do’ attitude, the fun. SDM was taken over by another company in January 2008 which should have been a great partnership. If the company had been smart they would have left SDM to do it’s own thing and backed them to become bigger and better. But they didn’t. They changed things and the fun, the attitude and the people began to leave. Why am I telling you all this? 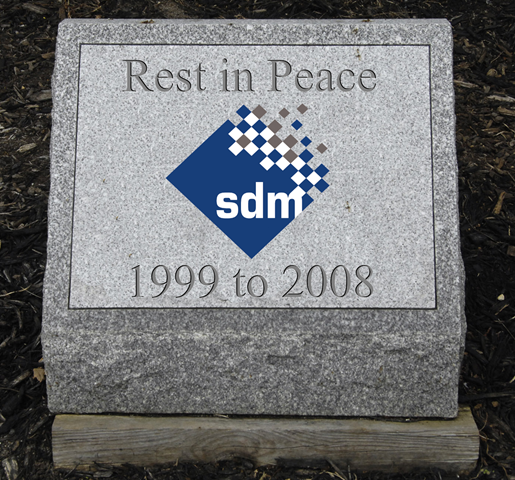 Well the 30th November marks the last day that the SDM brand exists. 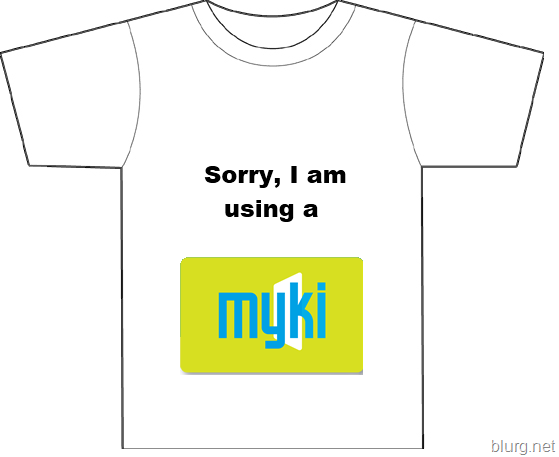 As of the 1st December the brand will be no more. I will always look back on my time at SDM with a great fondness, I made some excellent friends, learnt a lot, and most of all enjoyed going to work there, one day I hope I will be lucky enough to work at a similar company again. 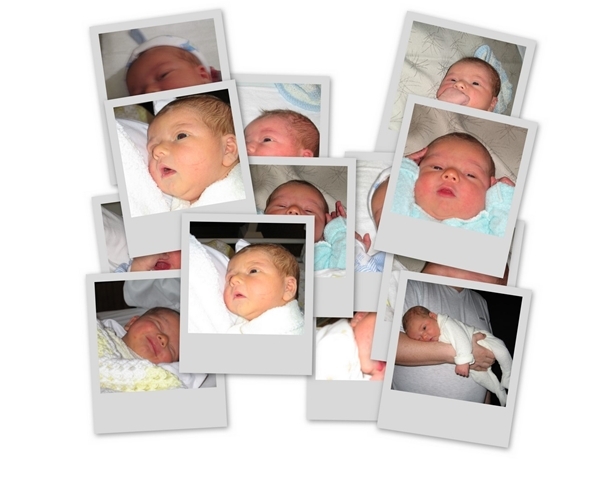 Jack – One Week at home..
Today marks the one week anniversary of Jack coming home from hospital. It’s been a pretty full on week. I hadn’t appreciated how much work would be involved with two kids so close together, nor had I appreciated how much I had started to enjoy sleep again. It’s only been 8 months since Abbie started to sleep through, so I didn’t think it would hurt so much!! It does!! Whilst Jack has been great, it’s not all been plane sailing. It seems that Jack has a nasty reaction to his formula that caused him to get diarrhea. So bad in fact that it gave him nappy rash that caused him bum to bleed!! Poor little fella. That’s under control now thanks in part to changing him to Lactose Free formula and some cortizone cream prescribed by our doctor. Anyway, I will keep this short, I have two kids to enjoy!! 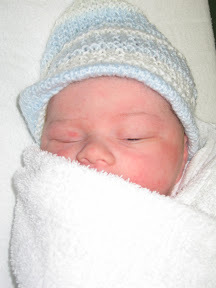 Comments : Comments Off on Jack – One Week at home..
After nine months of anticipation, this afternoon at 3:27pm, Jack Anthony Robert Burton was born. Weighing 7lb something ounces and delivered a mere 6 hours after being induced. Both mother and baby are doing great.